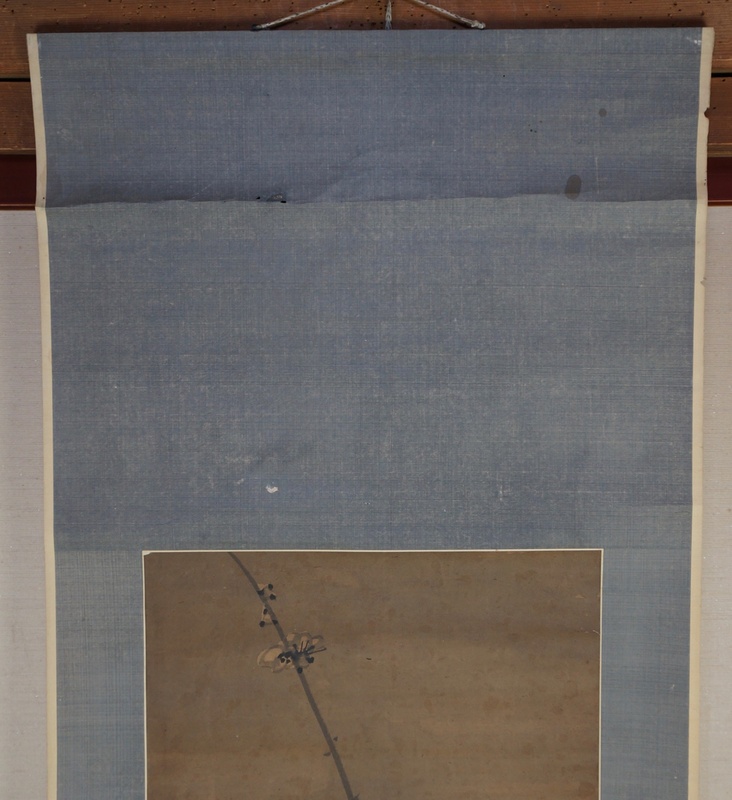 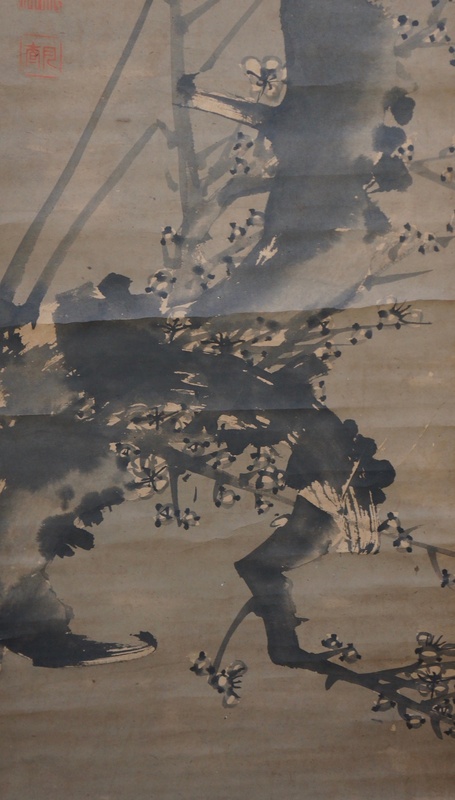 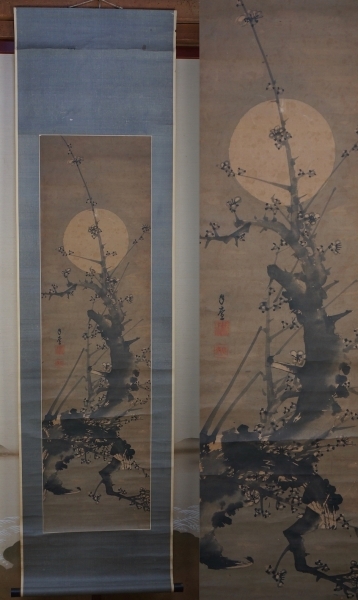 Japan scroll Zen painting on paper Sakura and full moon 1900s Japanese art. 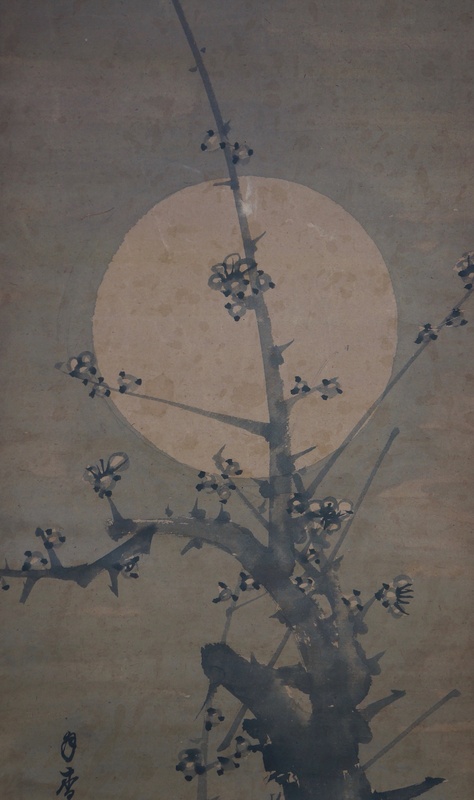 Japanese paper scroll Zen painting of Sakura and full moon, Fude brush and Sumi ink technique. 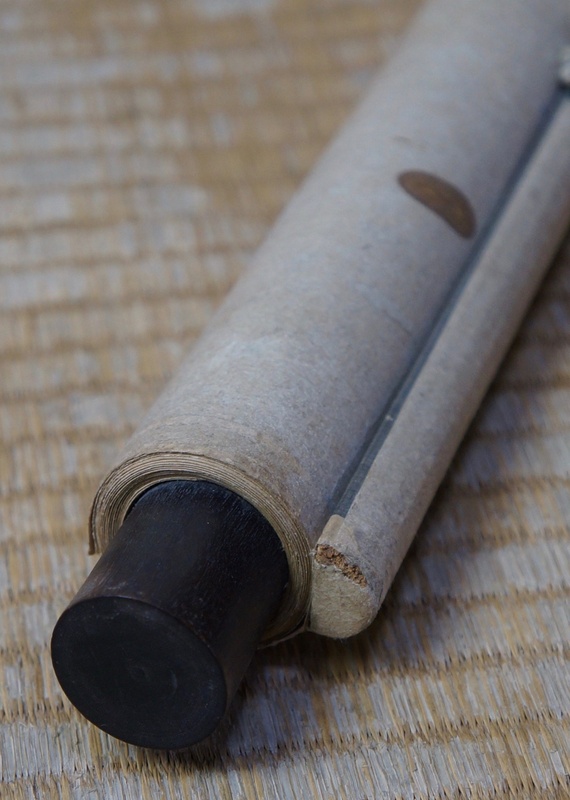 Nice hand, some wear marks from usage, please see photos. 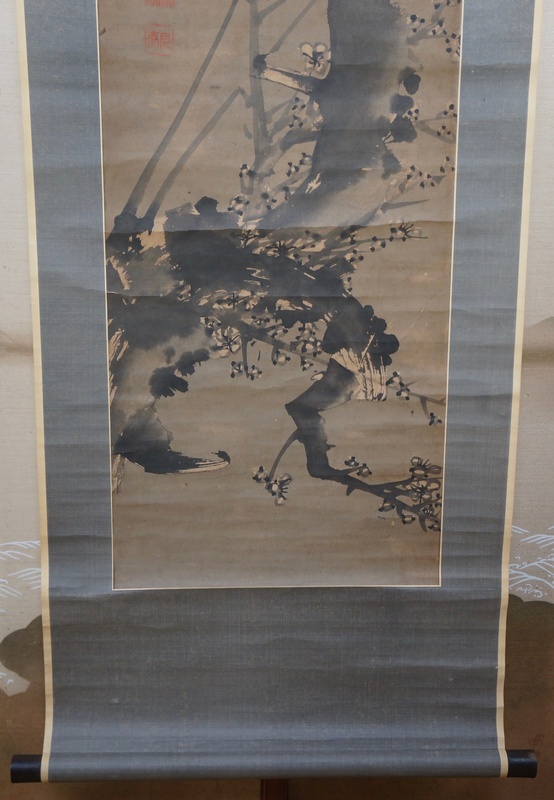 Conditions: medium, some wear from usage, please see photos.